In the final installment of Fred Goerner’s 1984 retrospective, “In Search of Amelia Earhart,” the former San Francisco radio newsman presents an excellent summary of the status of the Earhart investigation at that point in time, tracing the important discoveries since his Saipan investigations began in 1960. In his essay, ostensibly written for Orbis Publishing Ltd., a British company, but never published in the United States, among the many compelling evidential threads Goerner explores are the roots of the Marshall Islands landing scenario; the origins of the theories that proliferated in the days following Amelia’s loss; his original interviews with the native witnesses in the Marshall Islands and Saipan; and for the first time, the stunning revelations by Marine Generals Alexander A. Vandegrift and Graves Erskine that placed Amelia Earhart and Fred Noonan on Saipan in the days following their tragic disappearance. There were rumors in 1937 that Earhart had somehow been working for the U.S. government at the time of her disappearance. There were rumors, too, that she had purposefully lost herself so the U.S. Navy could search the Japanese controlled islands, or that she and Fred Noonan had been forced to land on or near one of those Japanese islands and they were being held prisoner. The speculation was not taken seriously by the American public. The Oakland Tribune newspaper in May 1938 began a series of articles about the Earhart disappearance by reporter Alfred Reck. Somehow Reck had managed access to the then highly classified Coast Guard files. In the first article, Reck alleged that Earhart and Noonan had been lost because of the failure of the U.S. Navy high-frequency direction finder on Howland Island, and that Richard B. Black, the U.S. Department of Interior representative who had brought the Navy HF/DF aboard Itasca, had supplied the wrong kind of batteries causing the equipment to fail at the moment it was needed the most. Department of the Interior official Richard B. Black supervised construction of the airstrip on Howland Island for Amelia Earhart’s scheduled refueling stop. He’s been blamed for the failure of the Navy’s high-frequency direction finder on Howland, and he was in the radio room of the USCG Cutter Itasca during Earhart’s last official radio transmission, indicating that she was low on fuel and was searching for Howland island. The U.S. Navy, Coast Guard and Richard Black jumped all over the Oakland Tribune and reporter Reck, and the rest of the articles in the series were carefully censored. Isolationist Republican U.S. Senator from North Dakota Gerald P. Nye was incensed by the report. He had long suspected that President Roosevelt was trying to get the U.S. involved in a war with Japan, and he announced his intention of bringing the whole Earhart matter before the U.S. Senate. The Japanese sinking of the American Navy gunboat USS Panay in the Yangtze River two months later effectively buried Nye’s concern. Ill feeling had become outright hostility. U.S. Congressman William I. Sirovich one day dropped by to see his friend Claude A. Swanson, who was secretary of the U.S. Navy. Sirovich, curious about the seeming mystery surrounding the Earhart disappearance, asked Swanson for his feelings about the matter. The “something worse” came on the wings of Japanese carrier aircraft the morning of Dec. 7, 1941, and Amelia Earhart was virtually forgotten. 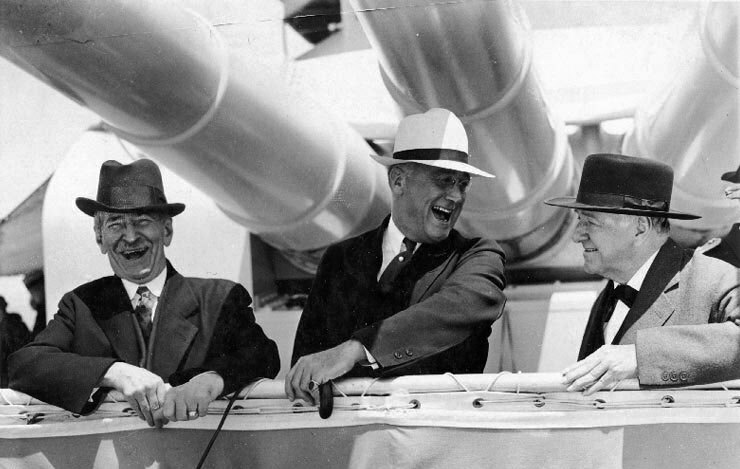 Secretary of the Navy Claude A. Swanson (left), President Franklin D. Roosevelt, and Ambassador Josephus Daniels aboard the Portland-class cruiser USS Indianapolis, May 31, 1934. Did Swanson know more about Amelia Earhart’s fate than he ever revealed publicly? 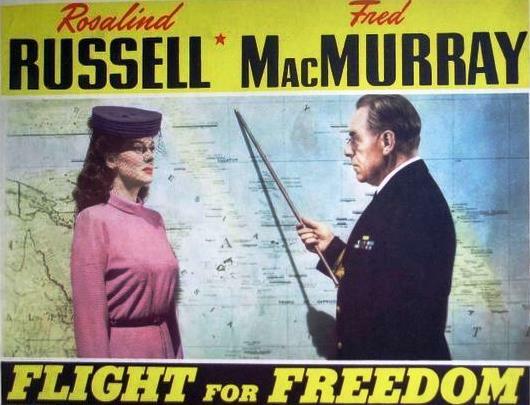 In April of 1943, however, RKO Motion Pictures released a film titled Flight For Freedom (starring Rosalind Russell and Fred MacMurray) which followed the events of Amelia’s last flight almost perfectly to the point of the Lae, New Guinea takeoff. According to the script, the aviatrix, on a mission for the U.S. government, was to fly to a “Gull” Island in the Pacific and pretend to be lost while U.S. Navy planes, ostensibly searching for her, photographed the Japanese Mandates. At Lae, New Guinea, however, the script writer had the heroine learn the Japanese were aware of the ruse and would immediately pick her up at “Gull” Island. Thereupon Rosalind Russell courageously crashed her plane at sea so the U.S. Navy could conduct its intelligence operation anyway. Amelia Earhart’s name was never used in the film, but the plot left no doubt that she was intended as the central character. This film undoubtedly had an impact on many American servicemen who were preparing for or already participating in combat in the Pacific theater. It might explain many strange — often bizarre — rumors during the island invasions. At one point a rumor that Amelia Earhart might actually be the infamous “Tokyo Rose” broadcasting from Japan caused U.S. Army Intelligence to send George Palmer Putnam, Amelia’s now remarried husband, to a radio station in China where he could clearly hear the broadcaster’s voice. He vowed it was not Amelia. Post-war investigation proved him right. There were other happenings that could not be explained as easily. 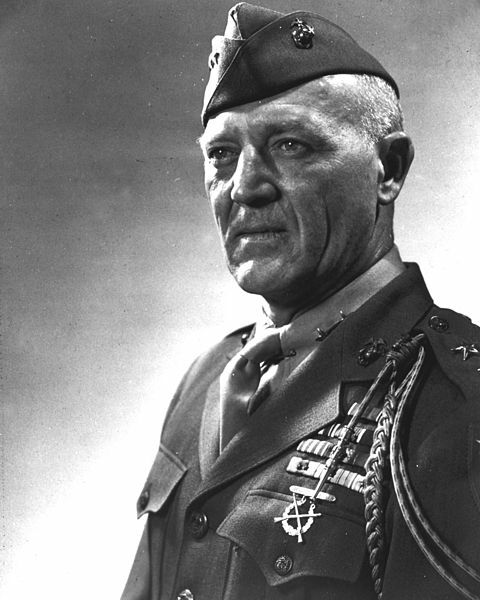 In 1944 on Majuro Atoll during the invasion of the Marshall Islands, Vice Adm. Edgar A. Cruise learned from a native interpreter named Michael Madison that an American man and woman flyers had been picked up and brought into the Marshalls in 1937. 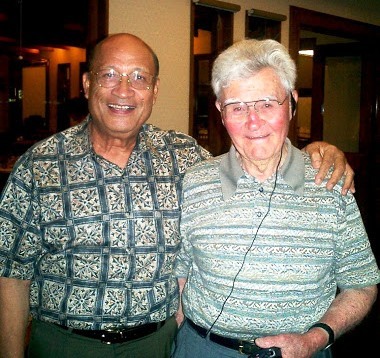 At almost the same time, Eugene F. Bogan, serving as a senior military government officer at Majuro (Bogan is now one of America’s leading tax attorneys in Washington, D.C.) interviewed a Marshallese native named Elieu Jibambam, who told the same story. Four other U.S. Marine corps and U.S. Navy Officers turned up similar information: An American man and woman, flyers according to the Japanese, had been brought into Jaluit in the Marshalls, then transported to Majuro and Kwajalein, also in the Marshalls, and finally, taken to Saipan in the Marianas Islands which was Japan’s military headquarters for the Pacific islands before and during World War II. They all filed reports which still remain classified somewhere in military archives. The 1943 Hollywood film Flight for Freedom, starring Rosalind Russell as Tony Carter, a thinly disguised Amelia Earhart, has been blamed by some for inspiring the false “conspiracy theory” that the fliers were taken to Saipan or landed there as part of a U.S. government plot. The facts, as attested to dozens of native and GI witnesses, tell us that Amelia Earhart and Fred Noonan were indeed on Saipan, where they met their tragic deaths, and had nothing to do with Flight for Freedom. During the invasion of Saipan in June 1944, the possibility of Japanese capture of Earhart broadened with testimony of Saipanese natives that two Americans, a man and woman, identified by the Japanese as fliers had been brought to the island in 1937 and detained. The woman had died of dysentery and the man reportedly had been executed sometime after her death. They had, according to the testimony, been buried in unmarked graves outside the perimeter of a native cemetery. It would be 1964 before two former U.S. Marines, Everett Henson, Jr. of Sacramento, California, and Bill G. Burks of Dallas, would come forward to say they were part of a group of Marines who recovered the remains of Amelia Earhart and Frederick Noonan on Saipan in July of 1944. The remains had been found in an unmarked grave outside a small graveyard and placed in metal canisters for transport to the United States. To this writing, the U.S. Marine Corps will neither confirm or deny that such an event occurred. It would not be until 1960 that a real investigation began, and that investigation would be civilian. 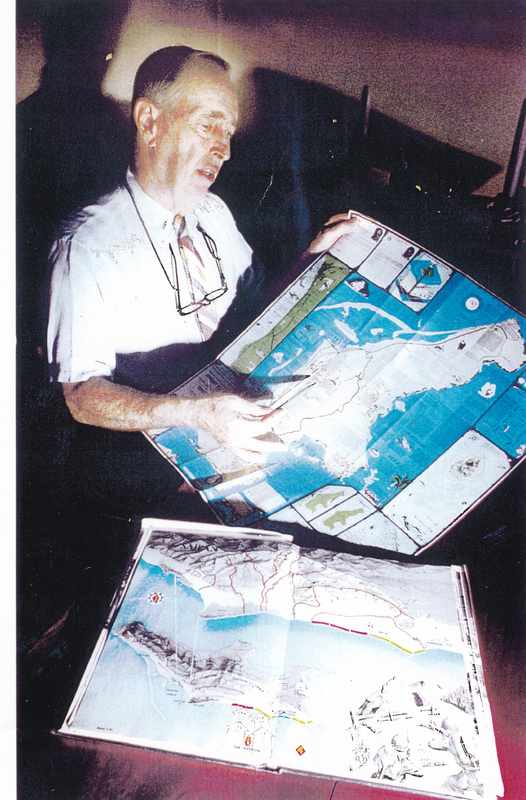 The Columbia Broadcasting System sponsored four expeditions to Saipan Island and two to Majuro atoll in the Marshall Islands to try to find answers to the Earhart mystery. The effort spanned the years 1960 to 1964, and your author was selected by CBS to conduct the inquiry. I was working as a correspondent-broadcaster at that time for KCBS in San Francisco. Several hundred natives were questioned on Saipan with the help of the Monsignor and Fathers of the Catholic Church Mission. More than 30 individuals told stories that supported the theory that two American fliers, a man and woman, had lived and died on Saipan before the war. In 1962, the Earhart investigation brought me into contact with Fleet Admiral Chester Nimitz who had commanded American naval forces in the Pacific during WWII. Nimitz recalled that “someone” had told him that “something” in connection with Earhart had been found on one of the islands during World War II, but he had not been greatly impressed because of the pressures of ongoing battle. 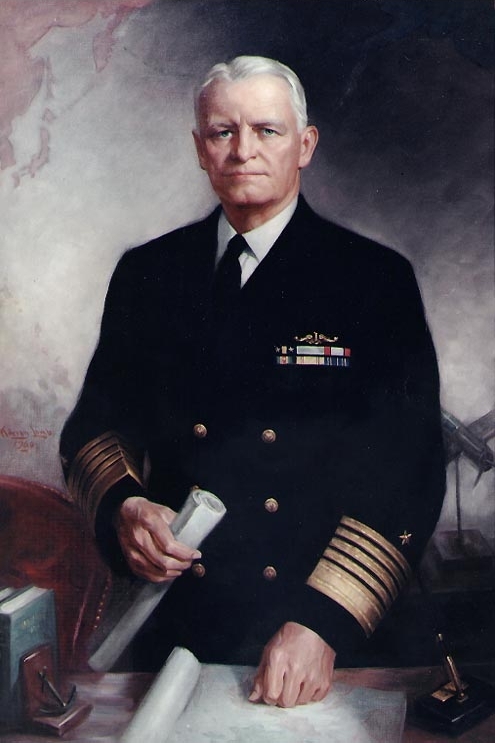 Classic portrait of Fleet Adm. Chester W. Nimitz, the Navy’s last five-star admiral and an important figure in the Earhart saga. Nimitz’s words to Fred Goerner in March 1965 became legendary among Earhart researchers as well as the American public. Sadly, Nimitz and Goerner’s contributions to the truth in the Earhart search are all but forgotten in today’s social media culture of historical ignorance. The same year, 1966, I wrote The Search for Amelia Earhart, which was published by Doubleday in the U.S. and Bodley Head Press, Ltd. in England. It detailed the six years of CBS research and basically asked why the U.S. government still, nearly thirty years after the event, had not released the classified files in the case. By good fortune the tome remained on the best sellers’ lists for many weeks, and a gratifying number of readers were motivated to write to their U.S. senators or congressmen, asking that truth for Earhart and Noonan finally be established. At the time, there was little response. It was not until the Freedom Of Information Act became law in 1968 that quite a number of files began to appear, and each year since more pertinent material has been found and declassified. This would seem to be the right time to say that this author is a standard patriot. I am grateful for the freedoms I enjoy in America. I would not willingly choose to live anywhere else, and I far more often compliment my country than criticize it. Perhaps I may then be forgiven if I say that responsible search for truth could sometimes be eased by those charged with keeping secrets. From 1968 to present day, well over 20,000 pages of records concerning the Earhart flight from seven different departments of the U.S. government and military have been released, and we are convinced there is a great deal more still to be revealed. The idea for Earhart’s around-the-world flight had begun with an entity known as the Purdue Research Foundation at Purdue University in Lafayette, Indiana. She had served the University for brief periods as a lecturer and counselor to women students. The Foundation had been formed by David E. Ross of Lafayette, Ind., and J.K. Lilly of Indianapolis for the purpose of seeking “new knowledge in the field of aviation, with particular reference to National Defense”, and it (the Foundation) maintained close communication with the then U.S. War Department and U.S. Army Air Corps and U.S. naval aviation. In 1937, America was still deeply in the grip of the great depression, and details of the transaction that involved what was then a considerable sum of money were not disclosed to anyone save the principals. Wright Field, circa 1934, three years before Amelia Earhart flew her Lockheed Electra there to have Fred Hooven’s “radio compass,” which he also called an “automatic direction finder,” installed. Amelia flew the plane to Wright Field in Ohio to have the latest 500 kilocycles low-frequency direction finder, invented by Frederick Hooven for the Army Air Corps, installed in the Electra. Later, the U.S. Navy and representatives of the Bendix Company would ask Amelia to jettison Hooven’s creation and use the Navy high-frequency DF. What did excite the Japanese was construction of the airfield on Howland Island. Earhart first planned to fly the Pacific from east to west, being refueled in flight over Midway Island by a specially equipped U.S. Navy plane. Such techniques were in their infancy; therefore, the risk factor was very high. Then Earhart and U.S. military needs coincided. Amelia needed a safer method for crossing the Pacific and the US Navy and US Army Air Corps needed a civilian reason to build an airfield on an island near the equator. America had agreed with Japan at the Washington Naval Treaty conference in 1923 that military construction on most Pacific islands controlled by each nation would be prohibited. The U.S. had long believed that Japan was violating that treaty in the Mandated Islands, but could not prove it. The U.S. had countered on Midway and Wake Islands through cooperation with Pan American airways, and now Earhart would become the civilian reason or cover for Howland. To further disguise the Howland venture, President Roosevelt diverted funds from the civilian Works Progress Administration, an obfuscation tactic he had used several times before. From the records released to this writing, Earhart does not seem to have been conducting an overt spy mission during the world flight. At one time we had thought that possible. There is evidence and testimony that Earhart and Noonan were gathering “white intelligence.” As civilians they were going to be visiting and flying in and out of places seldom if ever visited by the U.S. military, and observations of these areas could be valuable. Of particular interest would be weather and radio conditions, length of runways, fuel supplies and repair facilities. All valuable information in the event of conflict. After the end of World War I, the records indicate that many American civilians performed like services in many parts of the world. Not clandestine and not at all unusual. There is nothing in released records to date that would document Japanese capture of Earhart and Noonan, other than gathered testimony of Marshallese and Saipanese native witnesses. Nor is there anything which would substantiate the recovery of the human remains of Earhart and Noonan on Saipan in 1944 by the US Marines. There is evidence that President Roosevelt and U.S. Naval Intelligence suspected that Amelia and Fred might have fallen into the hands of the Japanese. The ONI (Office of Naval Intelligence) arranged with one Kilsoo Haan (an American working with the Korean Underground against the Japanese) in December of 1937 to sneak several of his agents into the Japanese mandated islands “to determine whether Miss Earhart and Captain Noonan are alive or dead.” The results of that intelligence mission still have not been found. 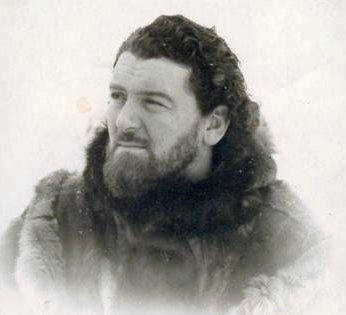 Kilsoo Haan, circa May 1941. According to Fred Goerner, Haan worked with the Office of Naval Intelligence in December 1937 to “sneak several of his agents into the Japanese mandated islands to determine whether Miss Earhart and Captain Noonan are alive or dead.” The project failed, allegedly for lack of funding, Goerner later wrote. Early in 1938, President Roosevelt arranged with his close friend and trusted intelligence agent William Vincent Astor to penetrate Japan’s Marshall Islands aboard Astor’s huge personal yacht Nourmahal. Accompanied by FDR’s cousin Kermit Roosevelt, Astor took his ship into the Marshalls in April, 1938, a daring and highly dangerous exploit that infuriated the Japanese. Astor and Kermit Roosevelt were not able to land on any of the islands, but they got close enough to find fuel supplies and air strips on Eniwetok and Wotje Islands and to predict to President Roosevelt that Japan was in the process of developing military bases and facilities in the Mandates. From what has been released to date, they did not find out anything about Earhart and Noonan. The Japanese protested vehemently to the U.S. State Department, and one Japanese press report indicated that the U.S. Navy had sent “warships” into the Marshalls and was forming a task force for an attack. Astor had caused a storm with Japan, but his mission was unknown in America. He was but one of dozens of civilians that Roosevelt had used and would use as personal secret agents. In the last several years, two Americans have come forward with information that indicates the Earhart saga is far from ended. Thomas McKeon, vice president of Intertel, based in Washington, D.C., one of the world’s largest private intelligence networks, staffed by former ONI, FBI and CIA agents, has testified that the 441st U.S. Army Counter Intelligence Corps Unit discovered the complete truth regarding Japanese capture of Earhart of Noonan when it occupied the Japanese Kempeitai (Military Secret Police) headquarters in September of 1945. McKeon says he read the files when he served as an officer with the 441st in Tokyo, and that at one point he talked with a former Japanese officer who had served as an interpreter when Earhart and Noonan had been questioned. Carroll Harris of Sacramento, California, recently retired from his post as dispatcher for the California State Highway Patrol, a top law enforcement agency in California. From 1942 to 1945, he was one of the U.S. Navy personnel responsible for the Security Room in Washington, D.C., of the Chief of U.S. Naval Operations Ernest King. In the top-secret vault was an extensive file on Amelia Earhart dealing with pre-WW II U.S. Navy involvement and information picked up during the invasion of various Japanese held islands during World War II. Harris recalls that the records were carefully boxed and sent to the U.S. Naval Supply Depot at Crane, Ind., toward the end of the war in 1945. Crane was and apparently still is the repository of top-secret material, including records of U.S. Naval code-breaking operations before and during the war. To this writing, the records referred to by McKeon and Harris have not been found, but an effort to locate them continues. A search for truth is underway in Japan today as well. Fukiko Aoki, one of the brightest young writers and investigative journalists in Japan, has for more than a year been seeking answers in Japanese archives and from former Imperial Japanese Naval Officers. What do I believe now after 23 years of research, including 12 trips to Saipan and four to Majuro Atoll in the Marshalls? Earhart and Noonan were cooperating with their government at the time of their disappearance, and there is strong testimony that an American man and woman, identified as fliers, were picked by Japanese military units somewhere and taken first to the Marshalls and then to Saipan. Just where the Electra landed is very much a matter of conjecture. If the Japanese know, they have said nothing. If Earhart and Noonan were off course considerably to the north of Howland Island, they may have landed at Mili or one of the other islands in the southern Marshalls. Many believe that theory. If Amelia and Fred were blown south of their course because they did not receive the weather forecast predicting significant winds from the northeast, the Phoenix Islands surely would have been their alternate choice. Until the mystery reefs that lie between Howland and the Phoenix Islands are thoroughly searched and the lagoons of several of the islands are plumbed, the possibility the aircraft can be found remains. Saipan has many mysteries. Much more questioning of the Saipanese people has produced stories of an American woman spy from “Los Angeles” who was executed in 1937. Was that woman Amelia Earhart? Or was it another woman sent by American intelligence to ascertain Japanese activities in the mandated islands — a woman whose mission and fate have never been revealed by anyone? The only bestseller ever penned on the Earhart disappearance, Search sold over 400,000 copies and stayed on the New York Times bestseller list for six months. In September 1966, Time magazine’s scathing review, titled “Sinister Conspiracy,” set the tone for what has become several generations of media aversion to the truth about Amelia’s death on Saipan. After writing “In Search of Amelia Earhart,” Goerner lived 10 more years before losing his battle to cancer in September 1994, dying at 69, but he would never again write so lucidly and boldly about the Earhart disappearance. In June 1977, Goerner appeared briefly in a muddled episode of the TV series In Search of . . . , narrated by Leonard Nimoy, and his final small screen appearance came in the popular Unsolved Mysteries program, with Robert Stack, where he shared time with Thomas E. Devine, T.C. “Buddy” Brennan and Robert E. Wallack in a 1990 presentation. 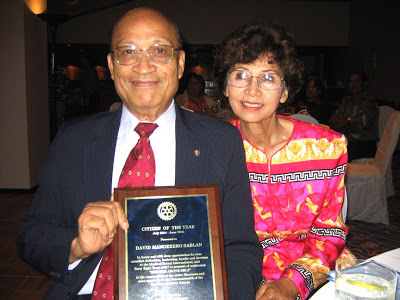 It would also be the last time Devine would have a national platform to share his Saipan experiences, though the Saipan veteran lived until 2003. Fred Goerner remains the greatest of all Earhart researchers, despite his failings, which I’ve not been remiss in chronicling on this blog and in Truth at Last. The Search for Amelia Earhart was, by far, the most important Earhart disappearance book, but the fame and acclaim his 1966 bestseller brought was fleeting. 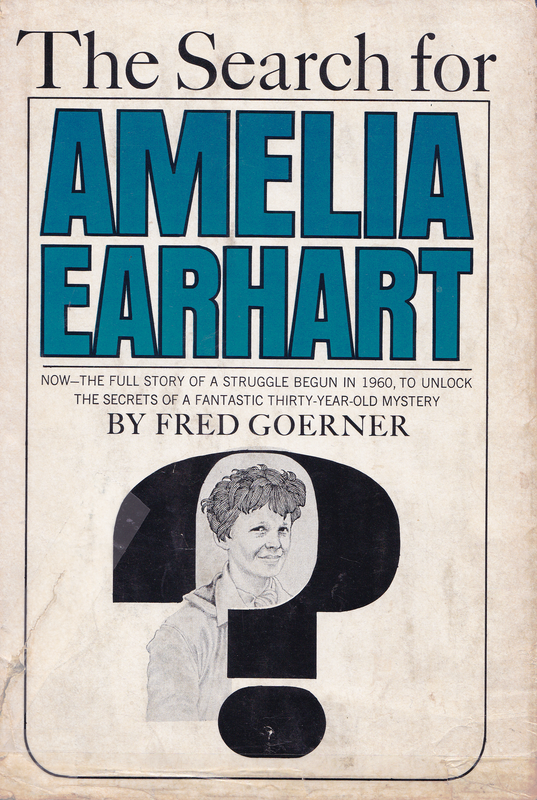 Goerner and his message became anathema soon after Time magazine’s damning review of Search; henceforth, the mere mention of Amelia Earhart and Saipan in the same sentence was seldom heard in American media. To this day, anyone who dares say those words is, with few exceptions, banished to the land of fringe conspiracy theorists, where the truth, no matter how compelling, is deemed worthy only of ridicule and rejection. In fact, it’s worse now than ever. Someday the Earhart truth will be universally recognized and acknowledged, but nothing in our current or past government’s actions should lead anyone to believe that disclosure is likely to occur in our lifetimes. The few who still care continue to work toward that eventuality, whenever it might come, and we never forget Fred Goerner and the other intrepid souls who blazed this lonely trail, lighting the way and making it just a little easier to tread. Once again we dip into the archives of the Amelia Earhart Society Newsletters to present another of the late Bill Prymak’s invaluable contributions to Earhart research, an interview with the legendary Robert Reimers just a year before his death in 1998. Without Prymak’s efforts, the voice of this well-known Marshallese entrepreneur would likely never have been heard outside of his beloved islands. The following piece appeared in the May 1997 issue of the AES Newsletters, and is presented for your information and entertainment, as always. The passengers queuing up at the Majuro International Airport for the Air Micronesia flight to Honolulu were getting restless. The flight was already one hour late, there were no seat reservations, the plane was overbooked (as usual) and the terminal was crowded and hot. Quite inconspicuously, but with obvious authority, an elderly couple (the man deeply tanned and spry), were ushered to the head of the line and escorted to the airplane. Not feeling slighted, but curious, I asked one of the airport security men who the couple was. Robert Reimers, founder, CEO, and genius behind the sprawling Robert Reimers Enterprises, Inc. (RRE as it is known), has hotels, shopping centers, hardware stores, travel agents, and dive boat operations at Majuro. And flung across the vast length and breadth of the Marshall Islands, RRE owns perimeter hotels, fuel depots, stores and nearly every commercial enterprise that exists on the outer atolls and islands. He is number ONE. Even his address: P.O. Box 1, Majuro, Marshall Islands, tells you of his station. 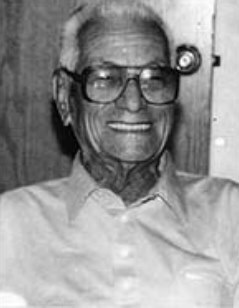 Robert Reimers, the top businessman in the Marshall Islands in 1991, told Bill Prymak that the Mili Atoll landing of Amelia Earhart in 1937 was common knowledge among his people. Reimers passed away in 1998. This man, I said to myself, has got to be interviewed!! AES: Mr. Reimers, we just came back from Jaluit . . . do you personally know much about the Island? REIMERS: Bill, I was born at Jabor (Ed. Note: main island and town at Jaluit Atoll), in 1909, and was raised there until 1935, when our family moved to Likiep Atoll. Tourists never visit Jaluit; what made you go there? AES: Some of my group had been there before. We wanted to see the children again, and we were looking for additional information on Amelia Earhart. REIMERS: Ah, yes, the Earhart woman . . . why are you Americans still looking for her and her airplane? AES: Mr. Reimers, she has never been found, and her sister, still living, and other family have been searching for so many years . . . they deserve to know. REIMERS: Ah yes, family. I know family very well; do you know I have eleven children and sixty-seven grandkids? AES: That is remarkable. We have observed that family ties are very strong in the outer islands. Can you tell me some of your experiences with the Japanese before Word War II? REIMERS: The Germans had made Jaluit their commercial headquarters before WWI, but you’re not interested in events that far back. When the Japanese Navy kicked out the Germans, they sealed the (Marshall) Islands to all foreigners. Those very few Americans and other foreign nationals that did sneak under the curtain were shown only what the Japanese wanted them to see, and that was very little. About 1930, I had established myself with the Japanese as a responsible trader, and I did much commerce with them right up until and through WWII. I even supplied them with construction materials and local labor for their island projects. AES: In what kind of “projects” were you involved? REIMERS: Well, before 1935, it was mainly commercial and communication facilities: harbor dredging; wharves; docks; hospitals; and big, tall radio towers. But after 1935, the Japanese began some military projects like the airfields at Wotje and Maloelap. I had a good business relationship with them. But after 1936, they began bringing in foreign construction laborers, and conditions got worse for my local people. AES: When did construction work begin at Emidj? In June of 1946 Dr. Leonard Mason snapped this shot of Robert Reimers standing on the stern of an outrigger canoe with two friends as they sailed across the lagoon, probably at Kwajalein. REIMERS: Emidj was a very secret place, and even my local people had little access to this area. 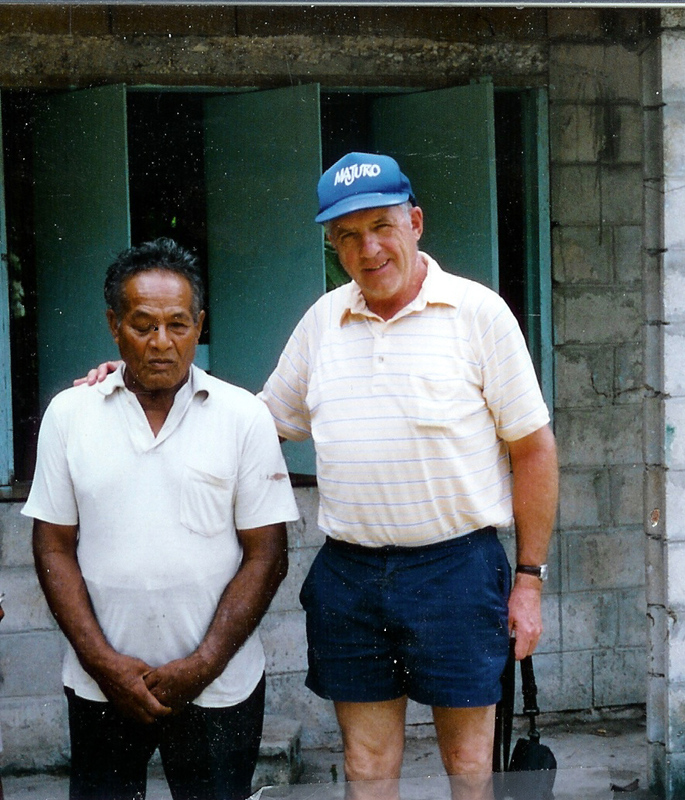 I was one of the few Marshallese allowed in because I delivered construction materials regularly. Jabor docks were built in 1936, and the seaplane ramps and docks for the naval base at Emidj were started about the same time. My shipping records were all taken by the Japanese when the great war started, but I am sure of the dates I just mentioned. Military construction projects at Mili did not start until 1940.
AES: What hospital facilities were available in 1937 at Jaluit? 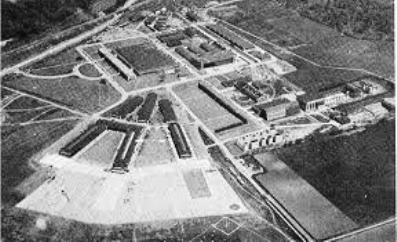 REIMERS: The Japanese converted the old German hospital at Jabor to a very small medical facility, and at Emidj they built a hospital because so many workers, mostly Korean, were there working on the concrete phase of the seaplane naval base. AES: Many of your people that we interviewed at Jabor and Emidj, notably the elders, speak of the brutality of the Japanese against your people during the war years. They described how for the theft of a coconut, a head was severed . . . how Emidj became the execution center for both Allied prisoners of war, and the local population. Can you comment on this tragic chapter in your country’s history? 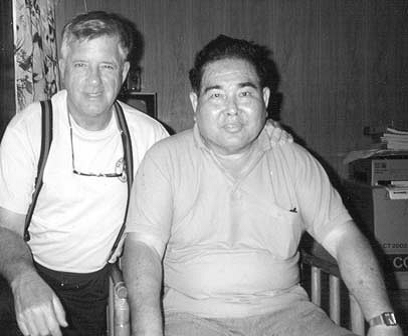 REIMERS: Remember, Mr. Bill, I called Likiep Atoll my home during the war period, but I was conscripted by the Japanese military to continue my supply lines of materials to their many island bases. And some of my travels took me back to Jabor. Emidj was very secretive, but the stories you hear today from the elders ring true. I must add that towards the end of the war, when things were going badly for the Japanese, my people feared for their lives, and fled to unoccupied islands to escape what they expected as mass slaughter for those who stayed. These times were very bad for the Marshallese . . . the elders remember as I do. AES: In July of 1937, Amelia Earhart and her navigator disappeared, and the Western world did not hear from them again. Can you help me, and her family, with any information you may have regarding the possibility of her being down in your islands? REIMERS: It was widely known throughout the Islands by both Japanese and Marshallese that a Japanese fishing boat first found them and their airplane near Mili. They then transferred them to a bigger boat. They were brought to Jabor, where Bilimon [Amaron] treated them. Oscar deBrum, and the Carl Heine family (including the boys), were living there and knew of this. They were then taken to Kwajalein and from there to Truk and then Saipan. There was no mystery . . . everybody knew it! AES: But Mr. Reimers, the Japanese strongly denied seeing the two American aviators. They even sent airplanes and ships out to search for her. How can this be? REIMERS: Even in 1937, an intrusion in these islands was a very serious offense. And in the case of Earhart, a woman pilot, great cover and secrecy was placed upon them by the Japanese. But, of course, these are our islands. And my people — even in their fear — proved very resourceful knowing about such things. AES: Did you personally know Bilimon, and the Heine family? REIMERS: I knew Bilimon very well, and rest easy if you worry about his story of treating the two Americans. You will never fmd a more honest man. You know, of course, he died last year. He was a good man. And the Heine family . . . John and Dwight’s parents were executed during the war. I grew up with them, and they were the finest missionary people I had ever met. John and Dwight knew about the Americans, but would never talk much. 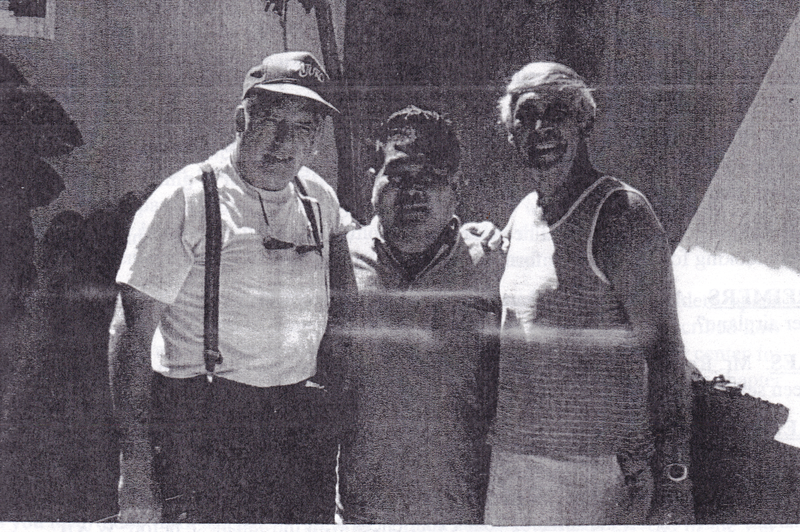 Bill Prymak and Joe Gervais pause with the famed Earhart eyewitness Bilimon Amaron at Amaron’s Majuro home in 1991.
AES: Researchers like Joe Gervais, sitting across the aisle, have visited your islands several times. Even as far back as 1960, he made several trips to SAIPAN where he met the same curtain of silence. Do the natives not care, or are they still fearful of the Japanese? AES: Ah, but Amelia was special to the American people. I could hear the 727’s engines power back for descent, and Mr. Reimers’ eyes told me the interview was concluded. After expressing my deepest gratitude, I wished him well, and told him our group would come back again to his Islands. Robert Reimers died on Sept. 27, 1998; his wife Lupe followed on July 23, 2000. They are survived by seven children: Richard (Kietel), Francis (Teruo), Vincent, Ramsey, Minna, Ronnie and Reico; and hundreds of grand-, greatgrand and great-greatgrandchildren. For more information on the life of Robert Reimers, please click here.